Director Don Gibble will present two screen actors in his production of A.R. Gurney’s play, “Love Letters,” at the Spreckels Performing Arts Center, 5409 Snyder Lane, Rohnert Park. 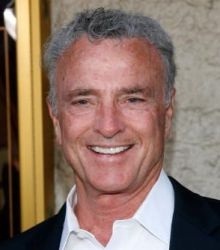 Kevin Dobson and Joan Van Ark of the “Knots Landing” TV series will perform in the show at 8 p.m. June 7 and 2 p.m. June 8.
appear at 8 p.m. June 8 and 2 p.m. June 9. Eric Roberts was scheduled to play those dates with his wife, Eliza Garrett Roberts, but canceled because of a movie assignment. In the play, a couple sits side by side, reading letters that span 50 years.